Some homes must use electric heating in the winter, even though it is expensive, commonly costing several dollars per day. For example, Mammoth Lakes, California has very few gas lines due to the occasional earthquakes. Heating with wood fires is common because it is cheap and pleasant, but some days it is banned when the winds stall because the air in town can get thick with smoke. Smart meter data from Southern California Edison can be used to see how much heating costs. The data is hourly data from previous days. To find how much your heaters use you will need to control your electricity use for a few hours. Turn off everything that you can, and don’t run any hot water. Then turn the heaters on and off for one hour intervals and record the times and actions. The following day you should be able to see the usage data jump when you turned the heaters on, and you can estimate how much power they used above your baseline. Ideally one would replace heaters with a more efficient model. However, there is little that can be done with resistance heaters. They all turn the electricity to heat similarly and have similar overall efficiency. Heat pumps are more efficient, but they are expensive and require installation that is not feasible in most apartments or condos. So the options are limited for reducing heating costs. Besides just turning the heat down to save, paying attention to locations can also help. Heaters on external walls tend to be wasteful because a lot of the heat escapes to the outside. It cuts costs to use heaters towards the middle of the building and nearest to where the people are. Leaving unoccupied areas unheated is another way to cut costs while staying comfortable. The idea of having your electrical outlets tell you how much power you are using is a good one. Adding an internet connection and ability to turn it off when you want to makes it a great idea. I previously reviewed the ThinkEco Modlet, which can be used to control and measure the energy consumption of electric devices. It has a limitation that it communicates through a computer that needs to be turned on. Now I will review two systems that have hubs that connect to an ethernet cable to your router, so you can more readily control your light or appliance from anywhere you have internet. 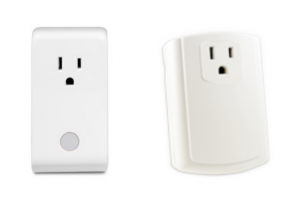 In both cases the smart plugs and switches have low power wireless communication to the hub, but the wireless power is so low they may not work throughout your whole home. The Lowes Iris system takes about an hour to set up. They have range extender to attempt to cover more area, but that didn’t help in my case. 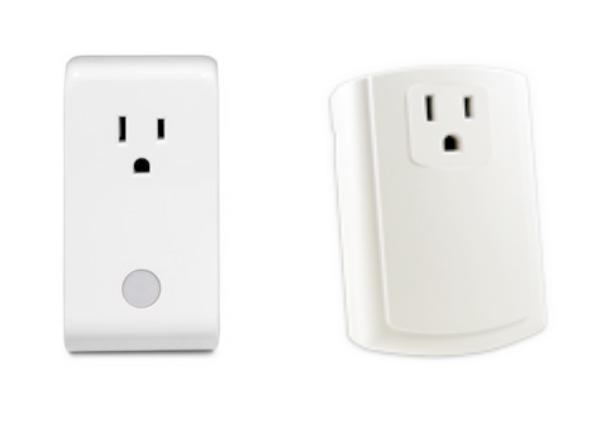 A small system including a Iris Smart Plug, a smart light switch (which does not take measurements), and Smart Hub costs $164. You will probably also want their $10/month premium service, which allows you to set timers on the devices. A nice feature is that every plug and switch includes a manual on/off button, so you do not need to pull out your phone or computer if you are in a room and want to turn something on. The SmartenIt/SimpleHomeNet system can take hours or days to set up due to conflicting and sketchy documentation and a website that is not self-explanatory. A small system with one Smart Plug and the Harmony Gateway costs $280, but there is no monthly service fee needed to set timers or other control. Although it provides energy consumption data, it is not provided in a very useful way, leaving the user to interpret the data much as you would using a $30 Belkin meter. Although both systems are intended to help you save money on electricity, due to their prices it would be difficult to save any money overall. However, if you are interested in the home automation features and would like to have energy savings as a bonus, they could be good for you. 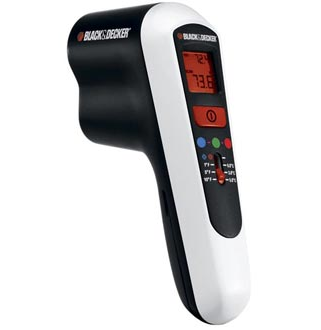 I purchased a Black & Decker TLD100 Thermal Leak Detector for under $30, and it has proven to be a good tool for measuring hot and cold spots in the house. The manufacturer says: “infrared thermometer detects wall surface temperature to spot hidden energy leaks.” In addition to finding leaks such as missing insulation, it can also measure solar warming of walls and other surfaces. It is common for a well insulated wall in the sun to be a few degrees warmer than one in the shade. The infrared thermometer can also measure the effectiveness of passive solar techniques. In an attempt to capture solar heat in the winter, I modified some metal vertical blinds that came with white gloss paint. I sprayed over one side of some louvers with flat black solar paint to capture heat from the sun to warm the room. In the afternoon, with the sun shining on the blinds and the inside temperature at 70F, I took measurements of the blinds. The white louvers had warmed to 99F, but the black ones had warmed to 113F! So now the blinds can be turned one way to capture more solar heat and the other way to reflect more. one watt for one year costs one dollar. This is particularly useful for energy vampires: those devices like cable TV boxes and chargers that are always plugged in and always consuming some power. If you plug it into a power meter (e.g. a Kill A Watt meter) and get its wattage, now you can easily tell how much it is costing you. 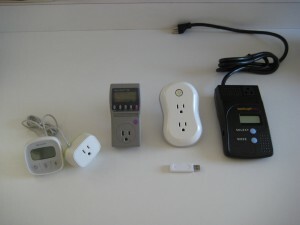 If it is a lot you can put the device on a power strip, and turn it off sometimes to save some energy and money. Good luck, hope you save a lot of bucks and watts! Lighting is good place to start improving energy efficiency; you can get quick and easy savings by changing bulbs (called “lamps” by lighting professionals). Lighting commonly accounts for 20% of residential energy use and 40% of commercial use. It is common to save 20-50% on electricity for lighting changes (i.e. 4% to 20% of the total utility bill). A common house uses 2000 kilowatt-hours (kWh) per year on lighting if it has all incandescent lamps. Changing to half compact florescent (CFL) or LED lighting would reduce that by 60%. At a typical utility rate of 15 cents/kWh, that would be a savings of $120 per year. Lights generally use the wattage they are listed at, although they vary some. I measured 60W incandescent bulbs from 59W to 63W, florescent lights very close to listed power, and LED lamps using 10 to 20% more power than listed. The brightness also varies, with LEDs typically appearing significantly brighter than advertised. For example, a 13W LED with labeling indicating that it produces 800 lumens and is equivalent to a 60W incandescent bulb is actually bright enough to easily replace a 75W incandescent bulb. But watch out, many cheap import off-brand LEDs use false advertising and do not produce the light advertised. If you stick with brands like Phillips and GE you should be OK. CFLs also tend to out-perform their listed brightness. Dollar savings shown for lamps are usually based on being on for 3 hours a day, so lights in main rooms or halls can have greater savings, but lamps in rarely used places like attics are not worth changing. At 3 hours/day, a 60W bulb costs $9.85 to power for a year, but an 11W CFL replacement only costs $1.81 to power, so you save $8 a year by switching that single bulb. A light that stays on all night would have much higher savings, as much as $32 a year, but changing a light that is only used a few minutes a day would not even save a dollar. 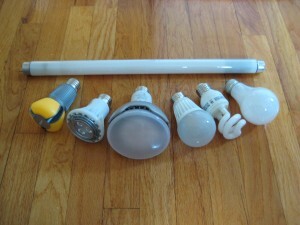 Changing larger lights, such as 100W bulbs, will produce larger savings. There are additional benefits to changing lights. 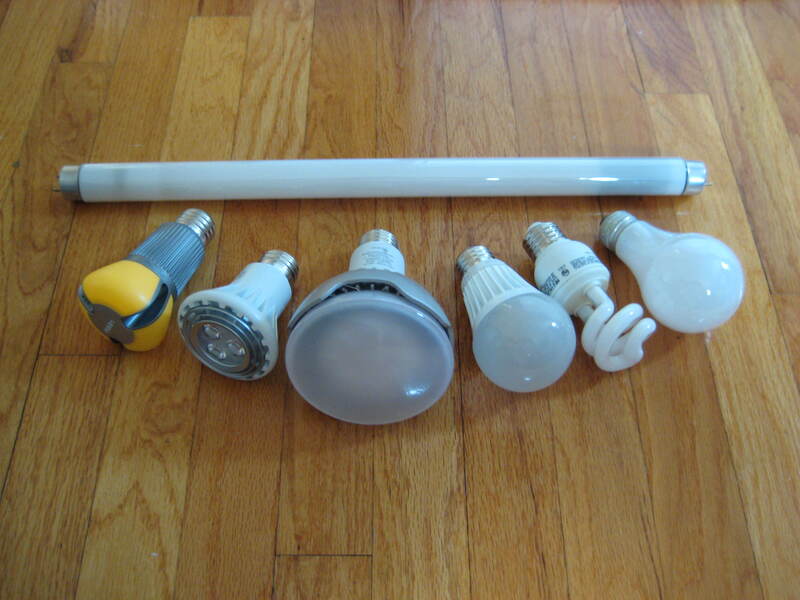 CFL and LED lights have much longer life than incandescents, so once you put them in you can forget them for years. Different CFL and LED lights produce a variety of color qualities, so you can choose lighting to suit your taste; for example getting close to natural lighting. Inefficient lighting generates heat that can be an issue in the summer. When air conditioning is being used, think of the wattage of the lamp as being doubled: once to produce the light and then once more to remove the heat from it. EnergySimulation.com is currently simulating homes in Glendale and Pasadena using eQUEST. The goal is to find near term and long term strategies to reduce their energy use. Some potential changes are behavioral (e.g. thermostat settings) while some potential changes would require home improvements (e.g. adding a solar awning on the south side). Each potential change will include the expected savings on the utility bills for each month. Please watch for results, which will be posted as they become available.